Signs of Spring are here! I am loving the longer daylight hours and warmer temperatures. I'm experiencing a little bit of spring fever. When you think of knitting it often invokes images of wool, sweaters, socks, and blankets - think again. 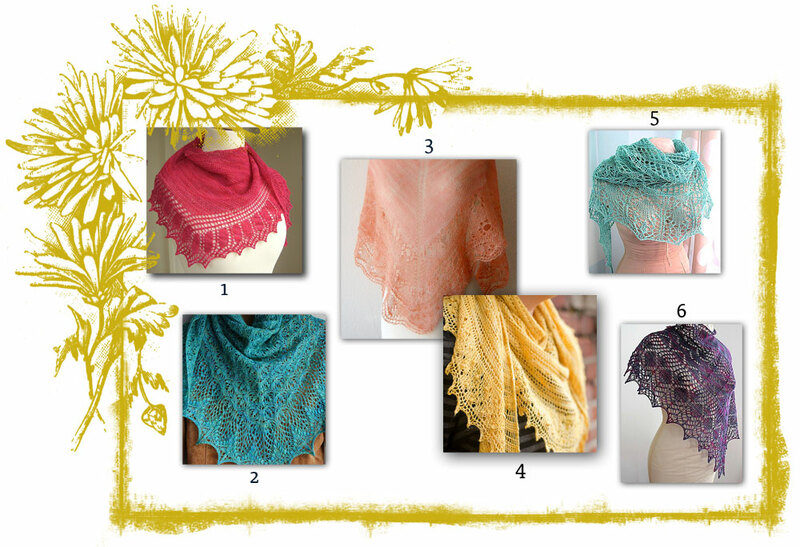 Here's some Ravelry inspiration highlighting some gorgeous spring shawls that should keep you wearing your hand-knits all the way through the summer. 1. Magrathea 2. Echo Flower Shawl 3. Simple Triangle Shawl 4. Argo 5. Glam Shells 6. Diamante II Yarn selection is the key here. Try to pick something soft and light that will knit up and drape really well. Even here in the hot, hot desert where I live a little shawl is essential year round. Especially in the summer with overzealous air conditioners at work. Those are a beautiful selection and some I haven’t seen before. They are all pretty, but I think Magrathea is exceptional.